From the bestselling author of `The Amazing Adventures of Kavalier and Clay'; his first novel in 5 years is a lovingly painted pop-culture epic. As summer in Oakland, California, draws to a close, Archy Stallings and Nat Jaffe are hanging in there, co-regents of Brokeland Records. Their wives, Gwen and Aviva, are the Berkeley Birth Partners, a pair of legendary midwives. When former star quarterback Gibson Goode announces plans to dump his latest Dogpile megastore on Telegraph Avenue, Nat and Archy fear the worst for their vulnerable little enterprise, as behind Goode's proposal lurks a nefarious scheme. And while their husbands struggle to mount a defence, Aviva and Gwen find themselves caught up in a professional battle that tests their friendship. Then into their already tangled lives comes Titus Joyner, the teenage son Archy has never acknowledged. 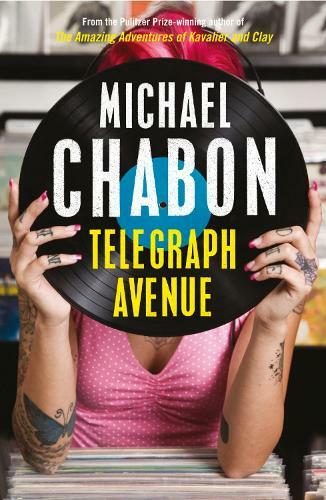 An intimate epic that pulses with a virtuosic, pyrotechnical style all of its own, `Telegraph Avenue' is Michael Chabon's most dazzling book yet, and a must-read for fans of Nick Hornby's `High Fidelity'.